Welcome to the September 2018 We Create FALL Blog Hop!!! My card for the hop features the Rooted In Nature stamp set, along with coordinating product available in the Nature's Poem Suite. I gotta be honest, I am kinda "cheating" with this card...cuz I had a migraine. I'm sure you guys understand. I've never posted this card on my blog, but you may have seen it before. 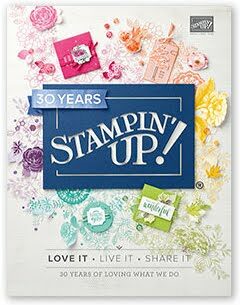 It's a card attendees were given supplies to make wayyyyy back in April at a Stampin' Up! event called OnStage, before the Annual Catalog came out. 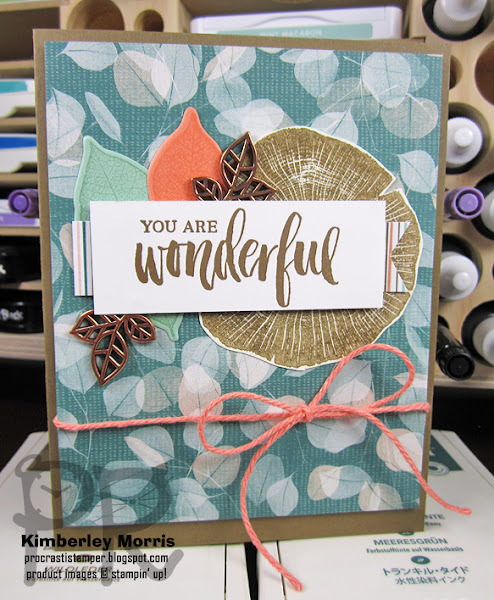 It just happened to be the only card I already had done with the Rooted in Nature stamp set, which is what I signed up to use. I did stamp it all myself, I just didn't design it. 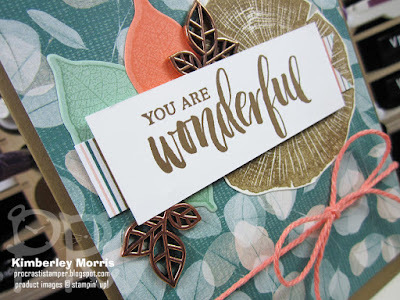 Well, actually, I think I made mine a bit different because I cut out the stamped image of the woodgrain/tree rings. But anyway, I really *LOVE* how everything in the Nature's Poem Suite coordinates on this one card. 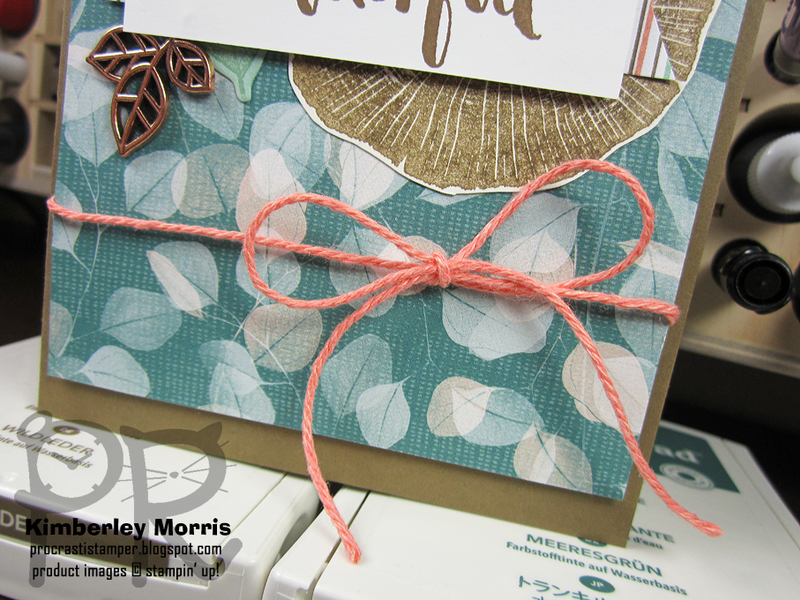 You can see the Rooted in Nature stamp set and coordinating Nature's Roots dies in action, plus the Nature's Poem Designer Series Paper, and the Nature's Twine (which actually comes in a 4-color pack, this is just one of the colors). And finally, you can see the little metal Leaves Trinkets embellishments. I might not have ever bought those myself, but they were part of the supplies we go, and I have to say they are WELL worth getting. They really put the icing on this project.